For decades now in the United States, homeschooling Christians have seen good fruit from their efforts. Consider the following statistics. Exploring HomeschoolingTM encourages Christian parents -- who are able to provide a safe, educational, Biblical home environment for their children -- to homeschool. We seek to strengthen the private Biblical homeschooling movement by encouraging Christian families to homeschool from a Biblical worldview and free from any outside control. We help families who make a decision to homeschool to connect with established Christian homeschooling organizations in their communities. Exploring HomeschoolingTM is a national ministry that seeks to connect the new generation of Christian parents (those with babies, toddlers, preschoolers, those with children in public school, and even those with their oldest child in the womb) with private biblical homeschool groups who are open to them. Most importantly, this ministry must be a movement of prayer. We cannot expect a revival of the Christian family without giving everything to Jesus Christ, showing our dependence on the Almighty by beseeching Him to spare us and our country from the judgment we deserve. We believe in Jesus Christ as our Savior, that the Bible, both Old and New Testaments, is the inspired and infallible Word of God. We believe that children are a gift from the Lord (Psalm 127:3) and the Bible commands parents to raise their children in the Lord (Proverbs 22:6). We believe that the most Biblical institution for teaching children is the family, headed by the father and sustained and nurtured by the mother, with parents as the primary teachers of their children (Deuteronomy 6:6-7). We believe homeschooling is available to most Christian families rather than a special calling of an elite few. However, we realize that due to serious health or other issues, some believers cannot home educate and this is where the church can minister via Christian schools. We believe that since the fear of the Lord is the beginning of wisdom, and knowledge of the Holy One is understanding (Proverbs 9:10) that children should be raised under the authority and mentorship of their parents who have both fear and knowledge of the Lord and thus are wise (Proverbs 13:20). We also believe that both children and their parents should be surrounded by believers as peers (1 Corinthians 15:33). 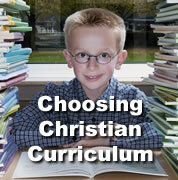 As the homeschool under girds the Christian faith, we believe it is the best option for Christians. 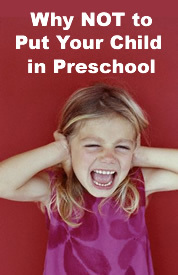 We therefore primarily encourage private Christian homeschool programs over all other choices. In it, one finds the father's God-given headship over the family and focus the homeschool on Christian goals and curriculum capable of explaining and defending faith in Christ. We believe that marriage is a sacred and social union ordained by God to be a life-long, sexually exclusive relationship between one man and one woman. Sexual relationships outside of marriage, including, but not limited to, adultery, promiscuity, and homosexuality, are forbidden in Scripture (Genesis 2:22-25; Matthew 19:3-6, 9; Hebrews 13:4; Ephesians 5:3; 1 Corinthians 6:9-11, 18-20; Exodus 20:14; Romans 1:18-32; 1 Thessalonians 4:3-7). Exploring HomeschoolingTM ministers to Christian single and married parents and their children who abide by this definition of marriage. Mbuyi and Mong-Tham believe that all four of their children are a gift from the Lord and their kids are more precious than anything on earth. They believe that homeschooling is the best thing they can do for their kids because it allows them to live out "The Shema" Deuteronomy 6:4-9. "Hear, O Israel: The Lord our God, the Lord is one. Love the Lord your God with all your heart and with all your soul and with all your strength. These commandments that I give you today are to be upon your hearts. Impress them on your children. Talk about them when you sit at home and when you walk along the road, when you lie down and when you get up. Tie them as symbols on your hands and bind them on your foreheads. Write them on the doorframes of your houses and on your gates." Mbuyi and Mong-Tham founded Exploring HomeschoolingTM to help other Christian parents discover the joy of homeschooling their children in the admonition of the Lord. 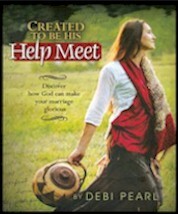 They want to encourage parents to continue in their journey of raising up wonderful, loving, and God-fearing children. Professionally Mbuyi currently works as an aerospace engineer for a large corporation. You might call him a "rocket scientist." He earned three Bachelor of Science degrees in Math, Physics, and Electrical Engineering from the California Institute of Technology (Caltech) and a Masters of Science in Electrical Engineering at the University of California in Irvine. Mong-Tham is currently a stay at home mom. Before this she earned a Bachelor of Arts degree in Kinesiology from Occidental College. She also earned an Associate of Arts degree in Nursing from Golden West College. Together they run outside business concerns as well.